If you’ve known me for a while, I’m big on trying to correct injustices and inequalities. Racism is a big one for me, and when I hear people say “Racism’s dead” or “It’s not as big a deal as people make it out to be”, I’m among those pointing out why those folks are so wrong. In my own fiction I try to create casts that are very diverse, using characters with different sexual orientations, religions, genders, gender identities, ages, and races, among others. Which brings me to why I’m writing this post. The past couple of days I’ve been working on a new short story that will probably turn into a novelette, based on how many words I’ve written so far. In it, four of the main characters are white, while one of them is black (and in a relationship with another male character, but I digress). While writing the first scene in the story, I was trying to point out the that Fred, my black character, is black. Why? Because I worry that unless I point it out, they’re going to assume he’s white. Realizing that I was thinking this made me stop and think about my other works. Why do I take the time to point out a character’s race? Do I do the same thing for my white characters? And why do I assume that they’ll think I’m white in the first place? On that last question, my roommate here in Germany, who has a background in psychology, was able to provide the answer to this question of mine one morning while waiting for the bus: “Most people tend to transfer their own qualities to others, including characters in stories.” That makes sense to me, and I’ve got a personal anecdote to back it up (I know anecdotes don’t count as scientific data, but bear with me): when I was 17 I spent five weeks in Israel and at one point we passed by a bookstore with some books in English. Having already read through the two books I’d brought with me (no surprise there), I went in, browsed the titles, and bought I, Alex Cross by James Patterson. 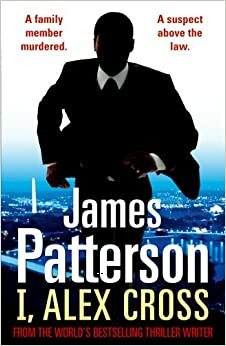 This was my first Alex Cross book, but sixteenth in the series overall, and at first I didn’t find any indications to clue me into the fact that the protagonist was black. It wasn’t till midway through the book that I realized from the conversation between Cross and his grandma that they were black! Had to really adjust my image of the guy in my head right there, as well as several other characters. Funny what reading out of order and a few misconceptions can do. But in this line of thinking, wouldn’t this mean I assume all my readers are white? Well, I know for a fact that’s not the case: while I still have a relatively small readership (both in terms of books and blogging), they come from a variety of backgrounds. Some I know personally and off the Internet, and can attest is that they’re not white. What I worry about is that they’re going to transfer my race, which is white, to my characters. And it’s not a crazy concept: if you had never read or seen Harry Potter and heard about it and then saw a picture of JK Rowling, what would you assume the protagonist’s race was? I’d say you’d guess white. And in a strange way, I’m helping my readers come to these assumptions. Unless I’m noting how pale a characters’s skin is, I generally don’t do anything to indicate a character is white. In Snake, where a majority of the characters were white, I did very little in terms of description when it came to skin color, and yet I’m pretty sure everyone who read the book was able to figure out my characters’ races just fine. The same in Reborn City: except for noting that Ilse has very pale skin, my white characters didn’t get any indications to clue the readers into their whiteness, while every character of another race did get indicators. So why is there this collaboration between my readers and I? And do other authors do this? And I’m sure that if I were of a different race in a different country or culture, the same concept would apply. If I were Middle Eastern writing in Israel, probably all my characters would be Israeli Jews or Palestinians and I’d give indicators for tourists or Ethiopian or Russian Jews. If I lived in China and was Chinese, I’d probably only give indicators for non-Chinese Asians or Americans or something along those lines. So to wrap this whole post up, the way my mind works, plus the way my readers’ minds work and the society we were raised in all collaborate in this strange need I have to mark my characters so as not to give my readers a false impression. Funny how that works. Even weirder that it makes sense to me as I write about it, and that I’m not sure whether or not I feel anything about it other than it being strange. Maybe that’s just how one should feel about something like this. Not liking or disliking it, but accepting it as one of those weird facts of life. Well, I’ve gone on and on about this subject for a while now. Now I’d like your opinion on it. Do you think what I’m doing with non-white characters here is strange? Why or why not? And do you ever do the same thing in your writing? Why? Let me know, I’d love to hear your thoughts, Followers of Fear. Rami, I find that I do this same thing a lot. After reading an enlightening blog post some months back, I started to really pay attention to my inclusiveness. I found that, while a lot of my characters did fall on the sexuality and gender spectrums in all areas, I didn’t have many characters of different races and religions. While trying to remedy that in an attempt to write more varied and interesting characters, I found that I tend to describe a character’s race less than I do their skin tones. Words like pale, sallow, golden, creamy, ruddy, sand, and various coffee references pepper my writing. I also like to describe characters in terms of their hair color and texture. I’m not sure that what I’m doing is “right,” and still struggle with it. As a half-Irish, pale-skinned person in America, I know that I have little concept of what it is to be a POC. That being said, I know what it’s like to be persecuted, to be cast as “different,” and to be looked down on for an inborn trait — so I just try to be as inclusive and sensitive as I can. I know how you feel, Adan. That’s how I often describe my characters. And while I can’t say I’m a POC, I am Jewish and bisexual and I was bullied a lot when I was younger, so I know what it’s like to feel less than human for no good reason. I think the important thing is to remember that we’re all the same at our cores. It’s only when you get to the surface that we have different factors that shape our lives. That, and to go in with good intentions, and to go in for the sake of telling a story with a diverse and well-fleshed out cast, rather than going in with that one character who’s diverse just for diversity’s sake. I was actually thinking of this the other day when I was working on one of my vampire stories – Patrick I think – and had to mention that Kateesha is “dark skinned” – on the same day I had a friend who was working on a book cover where the author asked for a “guy in a t-shirt”. When my friend sent her some images for approval the authors reply was “He needs to be black!” I commented to my friend that the author must be black because to her black was the default color that required no description – it was a given that if he was a “guy” with no descriptors he must be black – in the same way that being white makes white (or various shades of brown – people have to be pretty dark before I notice they “aren’t white” ) my default. I think even if we had no racism we would still need/use these descriptors – as authors we often detail hair and eye color, but it isn’t from a place of eyeism, it’s just a detail we can “see” in our heads and want to share. And since white (or whatever) is the default, we subconsciously assume the reader will know about it, so we don’t bother. Though amusing antidote – there is a series by CG Copolla that I love, love, love. The main character is a female named Fallon with dark curly hair – from page one I have imagined her as black, despite the fact she’s not. Being a sci-fi/fantasy with no social issues, it makes no difference to the story, but I guess it goes to show that even being white myself I still don’t always set the right default, LOL! I never thought about that. I might have to write another article about that when I get the chance.